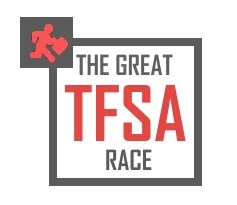 The Great TFSA Race is finally drawing to an end. On April 30 we draw the curtains on what has been an exciting race, with some innovative, winning investment strategies. Our judges will undoubtedly have the unenviable task of picking three of the best, who will each walk away with R5 000 to add to their savings. And so the drum roll begins … we wish all our contenders the best of luck and may the best investor win! Peter Mororolo is an IT graduate with a keen interest in investing. A simple high school lesson in investing inspired what would become a long-term affair between Peter Mororolo and the world of finance. Since then, the 35-year-old father of two has never stopped learning about investing and trying to find better ways of managing his personal finances. So keen was Peter to become an investor that in 2007 he sold his shares in a business in which he was part owner to buy his first investment, and has never looked back. Peter is continuing to learn as he embarks on his investment journey. He has learned many valuable lessons along the way and is now hoping to take on more risk as he grows in confidence, to try and maximise his returns in the long run. We had a brief chat with Peter to find out why an IT specialist like himself would be so keen on financial matters. Tell us about yourself and about who has influenced your financial management habits? I’m a 35-year-old father of two. I’ve been in the IT industry for nine years. I would say that when it comes to my financial habits, I’ve always been somewhat financially savvy. My subjects at school included economics and accounting. At some point we had a chapter which touched on investing and stocks. During that term we also had to watch the news, specifically to see what was happening in the markets. I think that was definitely one of the things that influenced my views on finances. Also in 2007, I became interested in finding out more about investing. So after asking around I found a guy from Standard Bank who was keen to educate me. I asked him about the difference between saving and investment and told him how I didn’t feel the industry was doing enough to educate the general public out there. There seems to be a lot of information about saving, but not investing. One thing he told me about was the Stanlib Property Income Fund. Now back in the days I was what you’d call a hustler and doing anything I could to grow my income streams, I also co-owned a hair salon and also bought and sold clothes. After reading about Stanlib’s Property Income Fund I decided to sell my share in the salon to my then business partner and invested that money. Can you tell us what it is about tax-free savings that sparked your interest versus other investment options? With tax-free savings accounts I saw an opportunity where someone could invest a lump sum and get maximum value in that there is no tax on the returns. You’ve chosen equities for your TFSA; how long ago did you start investing and how much experience do you have with the stock market? When tax-free savings accounts were first introduced I didn’t have a lump sum I could invest at the time so I only opened my account just before the end of the first financial term and am hoping to be able to invest the full amount again this year, but at a much faster rate. Investing in equities does take some research though, to find out which investment product best suits your needs. I did my research and attended some presentations from companies like ETFSA and EasyEquities. So eventually I went with both companies because their TFSA offerings could cater to different investment strategies, including those which met my financial goals. They were also very transparent about their offerings and I found that their costs and fees were significantly lower than the other larger institutions, such as banks, whose fees were quite high. What funds have you chosen and how do you choose your investments? For now, I have gone for ETFSA’s Equity Portfolio. After looking at our rand’s performance, I chose to go with the Equities Portfolio as it offers a bit of offshore exposure. This financial year I would like to invest in their International Portfolio as a hedge against the rand, and also pick from some of EasyEquities’ balanced and aggressive investment options. What, would you say, has been your most valuable lessons since you started out? The biggest lesson would be that, although I’ve been fairly financially savvy in the past, there were times when I was unable to invest or save anything because of the financial position I was in at the time. It is then that I started realising the importance of investing, when I realised that if I’d done things differently, like forgo some of those unnecessary luxuries, I could have been able to start investing and accumulating wealth much earlier. Opinions on the annual restrictions on tax-free investments differ quite substantially. How do you feel about the annual R30 000 limit? Is it reasonable or do you see it as an obstacle to government’s attempt at encouraging South Africans to save? With regards to limits, if you look at the UK, it has recently made adjustments to its tax-free offerings, ISAs, but of course it’s still baby steps for us. Perhaps if data for the first two years, between South Africa and the UK could be compared, to see how we’re faring so far (of course it would have to take into account factors such as population sizes etc), such a study would probably help in showing us how we can, if need be, adjust certain rules and whether or not there is any need to adjust the current limit. I guess the fact that you can open multiple accounts for different individuals, such as your children, does help though.